For a time, I struggled on what to do after my undergraduate degree. Through my cooperative education terms, I realized that instead of being an employee I wanted to one day be an employer. Pursuing a graduate degree opens a door of possibilities to that future. UBC was the one university I considered that I could imagine one day calling home. 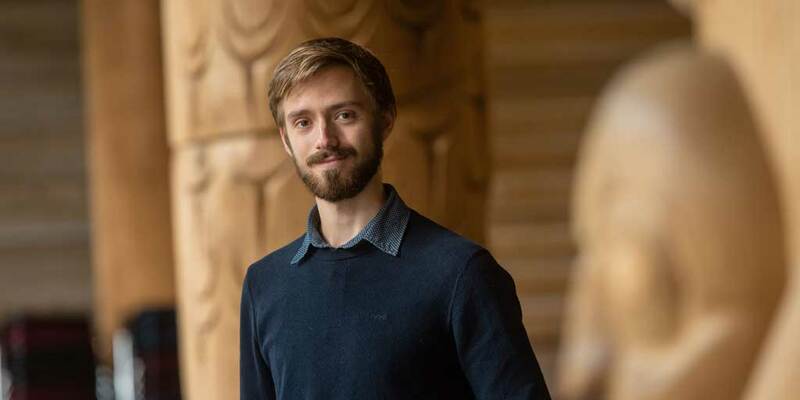 Through its inspiring faculty, excellent student support, and stunning campus, UBC instills a strong sense of community that values inclusiveness and knowledge. UBC was the one university I considered that I could imagine one day calling home. Through talking with members of the faculty, it was obvious that I would be able to use my background in mechanical engineering to contribute to projects that address some of today's most pressing medical problems. I was happily surprised by how welcoming the community has been here. After the first few days on campus, I feel like I have made friendships in my program that will carry on throughout my time here at UBC, and hopefully long after. It has been my goal since coming to Vancouver to try all the great restaurants I can. There is a likely possibility that this will take longer than completing my Ph.D.
Don’t be afraid to take risks and try new things. You’ll be surprised what you can learn about yourself if given the chance. I was admitted to UBC through the PhD Rotation Program in the School of Biomedical Engineering. This is an exciting new graduate program that is initially open-ended and will allow me to explore various areas of biomedical engineering. I hope to work in the areas of orthopedic surgery, medical imaging, cell biology, and stem cell regenerative medicine before settling on a topic to begin my Ph.D. next September.